South Africans can be quite gracious and quite impressionable at times. This tends to lead to them going overboard with accolades, even prematurely so. How many times have we heard or seen coaches being hailed a “messiah” even before they take over the reins at their respective jobs? Quick to come to mind in recent past are Bafana Bafana coach Stuart Baxter and Orlando Pirates mentor Milutin Sredojevic. I will not dwell much on Baxter as I think I have addressed his issue more than enough. However, I have observed Pirates play and followed their results closely and I must say, I have not been impressed. The Serb was touted as somebody who could save the sinking ship of the “continental giants”, as the club was known during their impressive run in Confederation of African Football (CAF) tournaments. This name was a graduation from being part of the Soweto giant tag that included Kaizer Chiefs and previously Moroka Swallows as well. However, the results from both clubs have put in doubt whether they are still giants in any form. And on this score, I would say Sredojevic has come short. The once “Happy People” - which are the Ghost (as Pirates fans are known) - are becoming grumpier by the day. Just this week, the Buccaneers played to a dour goalless draw against Golden Arrows in a match they could have easily buried the Durbanites in an avalanche of goals. However, it was the usual story of missed chances. When the coach arrived, there was some vibe and fresh enthusiasm with players playing with some verve and panache even in matches they did not win. However, this is becoming so predictable and frankly boring. Unless “Micho” pulls a rabbit out of the hat, changes tactics and become the messiah he was touted to be, he might soon hear calls for his head which might end up with him being shown the proverbial revolving door. Not far behind is Steve Komphela of Chiefs. For many it is puzzling how he has survived this long. The pair, as the youth would say, belong to the same WhatsApp group. You don’t have to look any further than the statistics on the log standings. Both clubs have played 11 matches won only three with six draws and two losses each. Chiefs have scored 10 goals while Pirates have netted a mere eight times which is way below what log-leaders Baroka FC and Arrows have managed - 14 goals apiece. The two Soweto clubs - deliberately avoiding the word giants here - are already out of the Telkom Knockout and will be spectators when Bidvest Wits take on Bloemfontein Celtic in the final. And that is not good enough for big clubs that the pair are. Or are they still big clubs? Some might disagree. To Micho’s defence, he has not had as long a rope as The Englishman (Komphela) has been given at Amakhosi. The pair need to do something quick - or else. Other coaches whose appointments somehow thrust them into that “messiah” category are Roger de Sa (Platinum Stars) and Cavin Johnson at AmaZulu. Time might run out soon as we all know how trigger-happy South African football bosses can be. 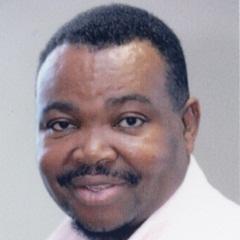 S'Busiso Mseleku is regarded as one of Africa's leading sports journalists and an authority on football. He has received some of the biggest awards in a career spanning over 30 years. He is currently City Press Sports Editor.